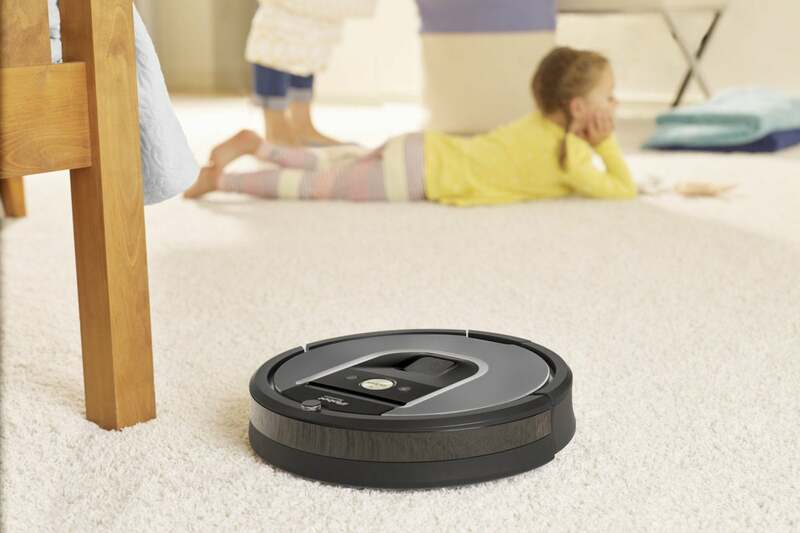 It's worth pinching your pennies for the Roomba 960's premium features and superb performance. It’s a testament to the success of iRobot that its Roomba brand name has become interchangeable with “robot vacuum.” It’s easy to see why after having your floors cleaned with the Roomba 960. 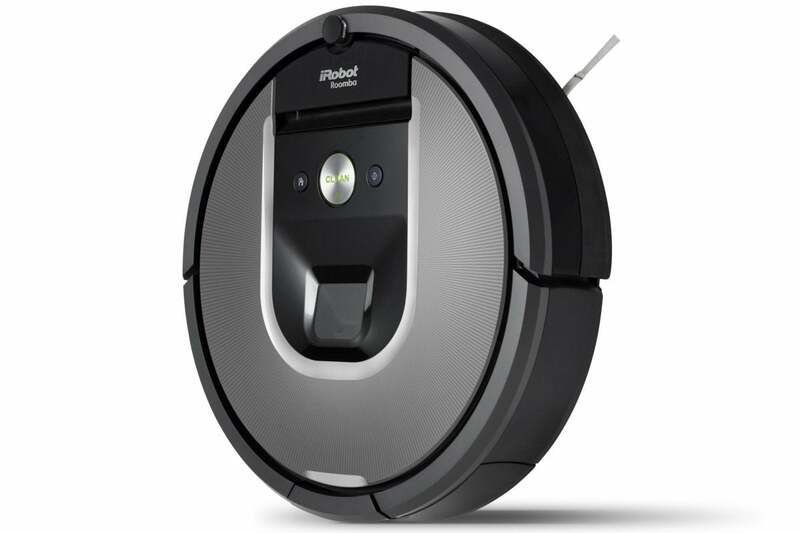 One of the company’s upper-tiered offerings, this robot vac includes Wi-Fi connectivity, camera navigation, voice control, and a smartphone app that provides alerts and detailed cleaning reports. Most impressive, though, is its three-stage cleaning system that delivered the best results of any of the robot vacuums we tested. The first-generation Roomba pretty well defined the template for all robot vacuums to follow. But there are actually several different Roomba models, and they don’t share all the same features and specs. The Roomba 960 measures 13.8-by-3.6 inches and weighs 8.5 pounds. A large “clean” button sits prominently on the top between its spot cleaning and home buttons. You can use these to manually control the robot vacuum, although as you’ll see in a bit, there are advantages to using more hands-free options. A camera embedded at the front of the 960 allows it to navigate more easily, and there’s a dust bin in back. All the dirty work is done by the pair of roller brushes underneath that work together to lift and loosen everything from tiny particles to large debris for suctioning. A side brush, when activated, sweeps along walls, baseboards, and furniture legs. There are also several sensors that help it identify high concentrations of dirt that require more attention, and a couple of wheels to allow it to safely maneuver room terrain. The Roomba 960 connects to Wi-Fi, and you can control it with the iRobot Home app (for iOS and Android). Out of the box, you’ll need to charge the vacuum in its docking station—this takes about three hours. Afterward, follow the prompts in the companion app to connect to your network. There are a few ways to initiate a cleaning with the Roomba 960: Press the “Clean” button on the top of the vacuum, use the virtual version in the companion app, or use Amazon Alexa or Google Assistant voice commands. Automatic: This mode allows the Roomba 960 to decide how many passes to make, based on the size of the room. A smaller room will get two or more passes, while a larger room will get just one. There’s also an “edge clean” feature that you can toggle to have the robot vac clean along walls and furniture legs, in addition to open areas. I used the Roomba 960 to clean the downstairs of my condo, an area of roughly 400 square feet that includes low-pile carpet, hardwood flooring, and linoleum. For the first few cleanings, I left obstacles on the floor—mostly detritus my kids had left behind, including a box, some colored markers, and scattered toys. The next few cleanings I picked everything off the floor except the furniture. 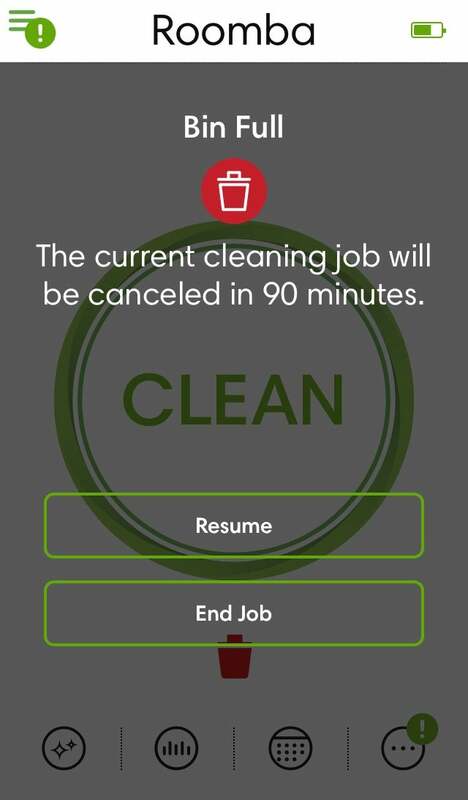 The iRobot Home app alerts you when the bin is full so you can pause the cleaning to empty it. In both scenarios, the Roomba 960 moved across the open floor until it encountered something in its path, at which point it would stop and “think” before moving around it. It deftly weaved between and around the legs of tables and dining chairs, and easily got in and out from under a couch and lounge chair without getting stuck. It rarely bumped into an object, and it never attempted to roll over one cluttering its path, even a small one like a pen. It would “see” it and determine the best way to clean around it. I was also pleased to see it transition smoothly from one floor type to another. The lip between the living-room carpet and the hardwood entryway gave it no problem, nor did the seam between that hardwood and the bathroom linoleum. If there are areas that for whatever reason you want the Roomba 960 to steer clear of, you can employ the vacuum’s included Virtual Wall Barrier. This battery-powered device emits an invisible cone-shaped barrier only the Roomba can see that blocks openings of up to 10 feet. Just turn it on and set it on the floor in front of any forbidden zone. The Roomba 960 can operate for about 70- to 75 minutes on a charge. If there’s still cleaning to be done when the battery is running low, it will return to its dock to recharge, and then continue until the cleaning is finished. Each cleaning of my space took only 45- to 60 minutes, depending on how dirty the floor was. If the Roomba 960’s dustbin filled up before the cleaning was complete, I’d get an alert pushed to my phone. I’d pause the cleaning in the app; remove, empty, and return the dustbin; and tap the Clean button in the app to resume the cleaning. With the cleaning pass set to automatic, the Roomba 960 did two complete passes over the downstairs flooring, picking up things on the second pass it missed on the first. When the job was done, I’d get another alert on my phone, and the vacuum would automatically return to its dock and power down. You can get detailed reports on each cleaning. The Roomba 960 did an amazing job of cleaning all three floor surfaces in my space, sucking up food crumbs, cat litter, tracked-in dirt, and tiny bits of torn paper. Most surprising was how much pet hair it pulled up, as there hadn’t been much visible on the floor. Overall, iRobot’s vacuum did at least as well on the carpeting as a stick vacuum—and it performed even better on wood and linoleum. 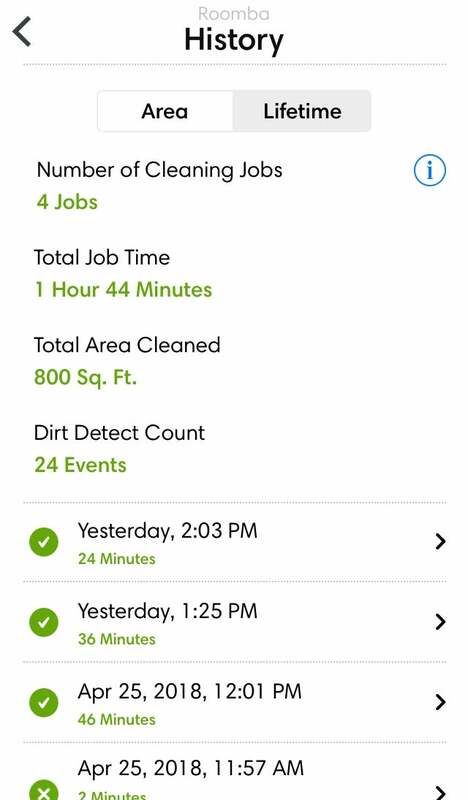 The iRobot Home app logs the total area the Roomba 960 has cleaned, as well as each individual cleaning, including the date, time, and duration. Tapping a cleaning entry displays a map of the area the Roomba vacuumed. 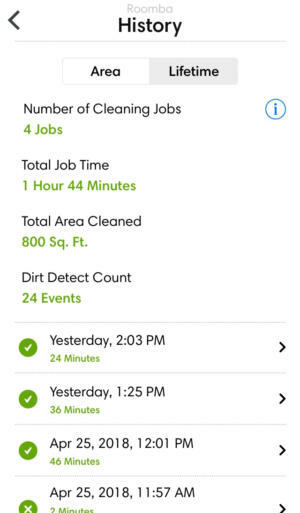 The app also provides more detailed lifetime stats, including the number of cleaning jobs, total job time, and how many times the Roomba 960 detected dirt. Unlike the other robot vacuums in our initial roundup, the Roomba 960 doesn’t allow you to direct it manually. You can schedule up to seven days worth of cleanings, though, for daily maintenance. The Roomba 960 isn’t cheap, but you get your money’s worth. 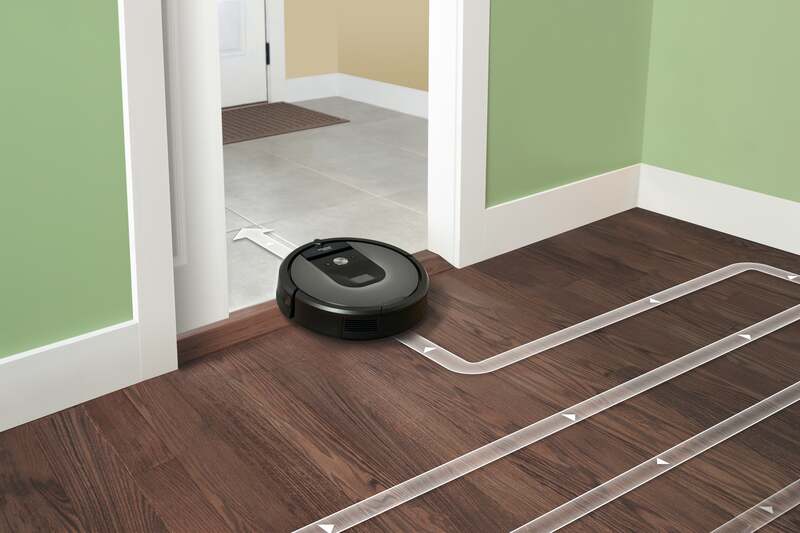 Navigation is better than what you get from robot vacuums that use sensors alone, and because it isn’t slowed by obstacles or transitioning from one floor surface to another, you’re not wasting battery power. And it leaves your floors spotless. Beyond that, the voice activation and detailed cleaning reports are just gravy. If all that’s still not enough for you to justify ponying up $600, check out the Eufy RobotVac 11 which sheds many of the advanced features—along with much of the price—without sacrificing cleaning quality.